Félix Lajeunesse and Paul Raphaël of Montreal-based cinematic virtual reality studio Felix & Paul Studios (our partners at Phi) joke that their collaboration is so second nature at this point that each sometimes feels like an extension of the other’s brain. They’ve been working together for more than 12 years; before VR, they collaborated on directing commercials, music videos, films, and installations. As a selection of their works is now on view at Phi Centre's Virtual Reality Garden, we spoke with the duo about presence-based storytelling, VR's metaphysical side and more. How did your cinematic virtual reality language evolve? Félix Lajeunesse: The one thing we've always been interested in is the notion of presence. Prior to doing virtual reality experiences, we were doing immersive experiences using 3D stereoscopy cinema, treating the screen as an extension of physical reality, and trying to bring the viewer into a state of being somewhere instead of watching something. We were going for a full state of immersion, where it feels physical, psychological, emotional, sensorial… to achieve, for the viewer, what physical reality achieves on a daily basis, which is a sense of true presence—inside a story that we tell. We started looking into the possibilities of virtual reality, and in 2013 we started exploring that with Strangers with Patrick Watson. We came at VR with very strong roots in presence-based storytelling. The point was to embrace presence in a very raw, pure, and unfiltered way. We didn't aim to tell a story, we just wanted to make this all about presence, intimacy, and experiencing a sense of human connection with someone who is not really there; and to nurture that relationship between the viewer and the character (Patrick Watson) and maximize the viewer's state of immersion and presence. So a lot of the insights and intuitions we had developed in our prior immersive projects were migrated into this initial experience. FL: Such as the experience of time. How much time do you need to give the viewer to surrender to the piece? Instead of trying to fight boredom and trying to think of time as an enemy, we said, let's embrace that reality is all about a continuous time flow, so let's try to approach virtual reality that way, let's not mess with time. The second thing was the sense of space. How do you fit in the space when you're a viewer? We're going to bring a viewer inside an artist's studio. We're not just positioning a 360 camera here, we're actually sitting a viewer inside a scene. Let's think of the camera in an anthropomorphic way, let's think of the camera as a person that's inside the scene. What fascinated us was that it no longer was just about telling a story, but it was about the physical state of the viewer being part of what you're actually also dealing with. In fact, possibly the main part. Talking about time, space, and presence feels almost metaphysical. In a sense, perhaps these high-tech VR experiences are bringing us back to the simple form of existence that is presence, awareness, and being fully there in an experience. Paul Raphaël: Absolutely. I think this goes back to the kind of stuff we were doing prior to VR, and sources of cinematic inspiration; these 3D installations that were very 'VR-like' at the time already. The kind of feedback we would get from people was like, 'Wow this is unlike anything I've seen before, I feel like I've been meditating or I feel like I've taken drugs.' These very visceral reactions. What fascinated us was that it no longer was just about telling a story, but it was about the physical state of the viewer being part of what you're actually also dealing with. In fact, possibly the main part. FL: We define presence as an art just like storytelling is an art. When you're a director working in virtual reality, in our perspective, your job is, a: to tell a story, but also b: to nurture presence. If you just tell the story and don't put value on crafting and nurturing presence, it just becomes a project that could have existed as a film, only you shot it in VR for some reason. For VR to reach its core power, it's a synergy or symbiosis between presence and storytelling... For that to sound a bit less abstract, we've never done a project where we do not identify, from the beginning, the role of the viewer inside the story. It all starts from that. With Strangers, we defined the viewer as a visiting friend. We thought, 'OK, let’s make sure we position the camera in a way that would make sense for someone whom the artist likes and has this level of connection.' So there's an intimacy but it's not as if you were sitting right next to him, it's not a love relationship. With The People's House: Inside the White House with Barack and Michelle Obama (Editor’s note: currently on display at the Virtual Reality Garden) we wanted to explore the history of the White House, but didn't want a literal tour. We wanted this to feel like you're travelling through the memories of the President and First Lady as they're about to leave this place... most of the experience happens as you're free-floating through these spaces. You're in motion all the time, almost as if you were a floating consciousness instead of a physical presence inside the scene. We wanted the viewer to feel like he's experiencing memories. From the beginning that was clear. Therefore, whole storytelling flow and visual approach, everything was defined out of that core concept of how we conceived of the viewer's immersion in the story. PR: Regardless of whether or not you’ve tuned into what we intended the viewer’s role or nature to be, it creates a coherence that also makes everything else make sense. In the case of the Strangers experience, yes, the position of the camera was important, but it also informed how Patrick was to behave... He was like, ‘Oh, I’m going to think of this as a guest in my studio.’ So all these other things sort of fall into place: How do you stage things? What is the logic of all of this stuff? In VR, you can have a shot that is five minutes long, and it has to make sense and feel good for that long, so these kind of ‘guiding principles’ help everything gel. FL: We're still at the very beginning of that exploration, even if it's been 20-something projects and three years of intensive creative exploration, it still feels to us like we're very early days and there's so much more to figure out. PR: Ultimately, the way I see it is—this may or may not be true but I think it probably is—we're doing things very much based on reality right now, the camera's there, it's a person, then we started to do things a little less grounded, such as this floating-through-consciousness thing. My belief is that as time goes on, we will develop a shorthand of types of shots, movements and ideas that work and no longer need to be so rigidly grounded; a, quote, unquote, 'cinematic language' for the medium that is not the language of cinema. Because just taking the cinematic language and bringing it into VR has proven not to work from the beginning. Since VR is a medium that is inherently more lifelike, consciousness-like, by starting from that as our foundation, we are building an understanding of what works, and doesn't work, and can take broader risks. Since your first VR experience four years ago, what have you learned as a human being through this adventure? Has anything changed in the way you see the world? PR: Well, we talked about the metaphysical aspects of this medium. We talked about presence in VR, but really, there's presence in the real world too. People aren't always present when they're doing things. They're lost in their thoughts… This is a medium that is so much more contemplative. Even something with action in VR is contemplative by film standards... We're so used to being on our phones and swiping from one piece of news to another, to someone's photos… When you're in VR everything slows down and it is kind of a meditative experience. To the point where I find it hard, I think Félix too, to watch movies anymore. And TV shows. Commercials are the worst, they're like stroboscopic seizures at this point! By the standard of how I'm used to thinking of portraying the world in art and media. It's both positive and negative, I find it harder to entertain myself, there's very little VR to watch, most of it films and TV I find myself a lot less attracted to that. FL: For me, my take on this world, and reality as a human being living in this world, that is expressed through my work. When I do the work, it needs to feel right and in unison and in harmony with who I am. I don't even make a distinction between the work and the life. There's something so lifelike about virtual reality, even when it's super stylized, that it does feel for me like a natural, organic extension of my experience of reality, like it's on the same continuum, the same wavelength. When I think about cinema, I generally think, 'That belongs in the world of dreams, beyond the screen there is another reality. And that is the reality of film.' That's how I felt when I wanted to move away from cinema and embrace a medium that would make me feel like the world of the story has blended with my world. I think it's what we're doing today, in a way. So I don't know if that changes me, because that is all the same for me, it's all the same thing. There is no separation. Bell is Canada’s largest communications company, providing broadband wireless, TV, Internet and business communication services from Bell Canada, Bell Aliant and Bell MTS. 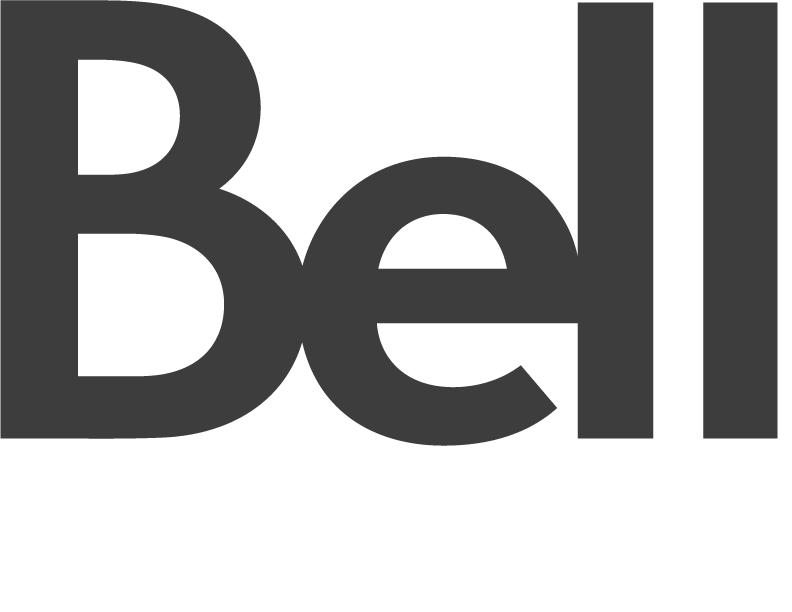 Bell Media is Canada’s premier multimedia company with leading assets in television, radio, out of home and digital media. To learn more, please visit Bell.ca or BCE.ca.